Burning any sort of waste produces an ash by-product often called ‘incinerator bottom ash’ or ‘furnace ash’. Commonly, this ash contains a high proportion of recoverable metal. 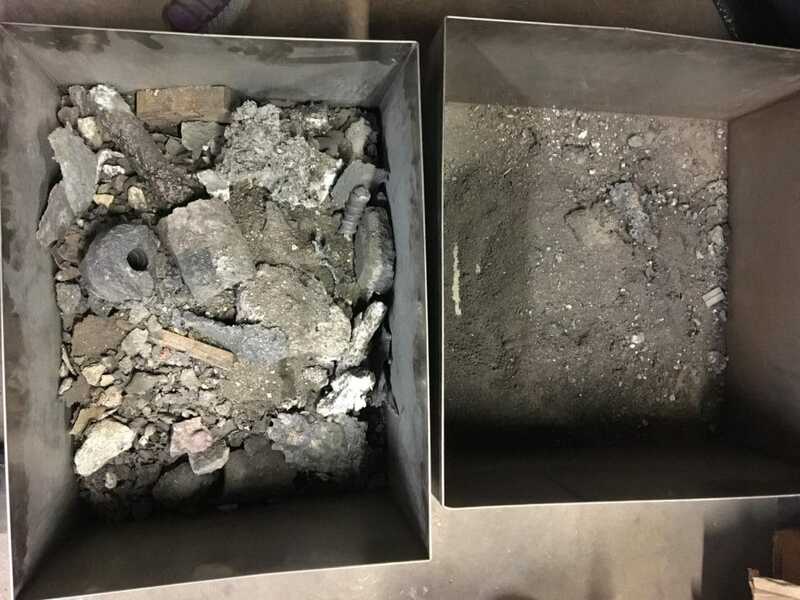 This mix of ferrous and non-ferrous metal is recovered using Magnetic Separators and Eddy Current Separators. 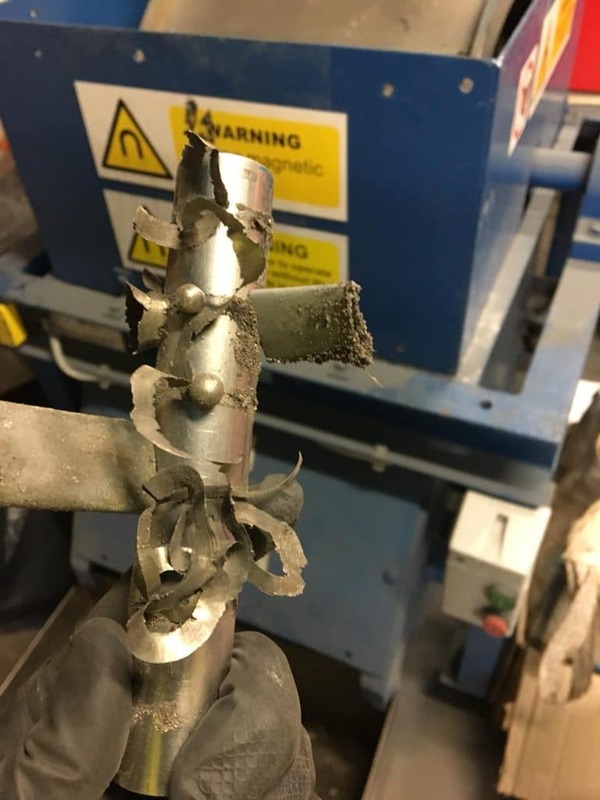 For one of our latest projects, we undertook extensive tests at our new Recycling Test Facility on a sample of incineration ash. For this particular project, our focus was the recovery of ferrous metals. The sample particle size range was very broad; from fine dust to large fist sized particles. There was a necessity for the ash to be dry due to the broad particle size range. Fine particles would agglomerate if damp and result in lowering the purity of the recovered steel. Could Aluminium Can Recycling Hit 85% By 2020? The incineration bottom ash sample was fed via a Vibratory Feeder onto a high strength Rare Earth Drum Magnet. The Vibratory Feeder regulated the flow of the material, whilst liberating any entrapped fine product. The Drum Magnet consists of a stainless steel shell rotating around a stationary permanent magnet arc. Magnetically susceptible material is attracted to and held by the magnetic field, whilst non-magnetic material flows in an unhindered trajectory. The attracted material is carried underneath the Drum Magnet and out of the magnetic field. The separated fraction falls into a separate collection bin. A heavy duty steel wiper, running across the length of the Drum shell, knocks any loitering ferrous metal into the collection area.